There are a lot of books out there about rooms. Room by Emma Donoghue and Rooms by Lauren Oliver are the first two that come to mind. Each one is very different, and The Room by Jonas Karlsson is equally as unique. 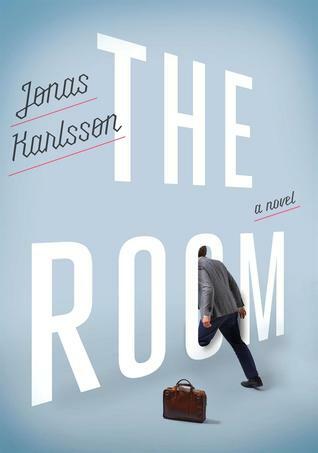 Synopsis: Described as Kafka-esque, this book is a short journey into the mind of Bjorn, a Swedish man who keeps visiting a room in his office building that no one else acknowledges. It took me less than 2 hours to read this book, partially because it’s short, and partially because it’s just a very easy read. Written in short chapters that read like journal entries, we know exactly what Bjorn is thinking, but have no idea what is going on with everyone else except for what he tells us. The unreliable narrator is used at its best in this story, leaving the reader completely unsure of who and what is to be believed. When I began reading the book I imagined Bjorn as a high functioning person with autism, akin to The Big Bang Theory’s Sheldon Cooper. He came off as cocky and slightly off-putting. As the story progressed, I began to wonder about everyone in the building, because they all had their quirks. And because so little is explained about where they work and what they do, I began to wonder if maybe they were all in an institution and the entire setting was part of Bjorn’s delusion. Readers who have enjoyed The Rosie Project, and those who like a bit of philosophical humour, would probably like this short novel, but I’m struggling to think who else would be interested in this type of book, It’s not for the average reader, who would likely find it too short, too simple, and too weird. I, on the other hand, enjoy the weird, so it worked for me.